At age 61, yadaBag® creator Janet Goodman woke up one day with blurry vision and an unquenchable thirst no matter how much water she drank. Turns out she was diagnosed with type 1 diabetes. This diagnosis turned her world upside down. With no history of the disease in her family and not a clue what that meant, she made a mission out of educating herself to learn how to manage the disease. As if that wasn’t devastating enough, she found herself with diabetic supplies now that she needed to carry with her at all times. Her small purses just wouldn’t do anymore. All she found were large purses to throw things in that became a search and rescue mission every time she needed to locate something (I believe that some things she never found again!) or organizers that were so medical-looking that she felt even worse about this disease. So what does an entrepreneurial psychologist who sews do? She creates her own bag to make herself feel better. 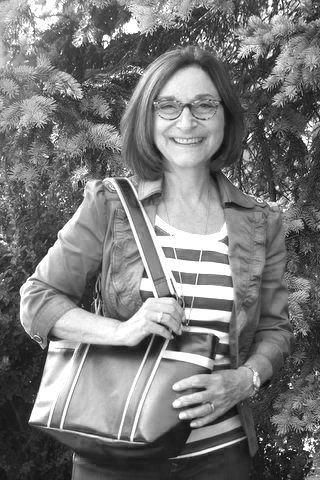 She created the yadaBag® Classic Purse: a purse with customized pockets for every need: diabetes supplies, wallet, phone, keys, yada, yada, yada! All easy to store, easily visible, and easy to find, with a splash of color in every lining to brighten your day. By organizing your diabetes supplies with style, yadaBags eliminate the unnecessary frustration of daily frantic searches. And to her surprise, once she started to use it, others commented on the colors, the design, the convenience and many people said they would love a purse in which they could organize their diabetes supplies, too. Evidently, Janet wasn’t the only woman to carry a lot of stuff around! She started yadaBags with a mission to help other people with diabetes feel more than just organized: she wanted to help them feel better. After all, with or without a chronic disease, life should have its bright spots. To spread good feelings around even more, Janet decided that a portion of the profits from yadaBags would be donated to JDRF and other diabetes researchers, whose goals are improving lives and curing type 1 diabetes. yadaBags: organize your diabetes supplies with style!